Whether you have a house, apartment, commercial, or industrial establishment Ross Electric can do your job. No job is too large! Please contact us with your electrical needs. Call 845-292-1000. 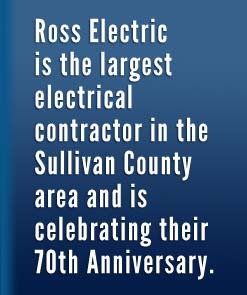 Copyright © 2012 Ross Electric, Inc.